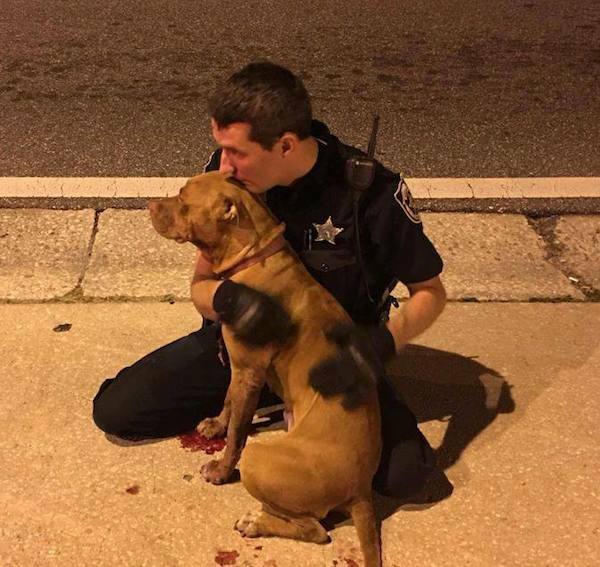 A passerby captured a touching scene as Florida police officers comforted and rescued two injured pit bulls who appeared to be abandoned. 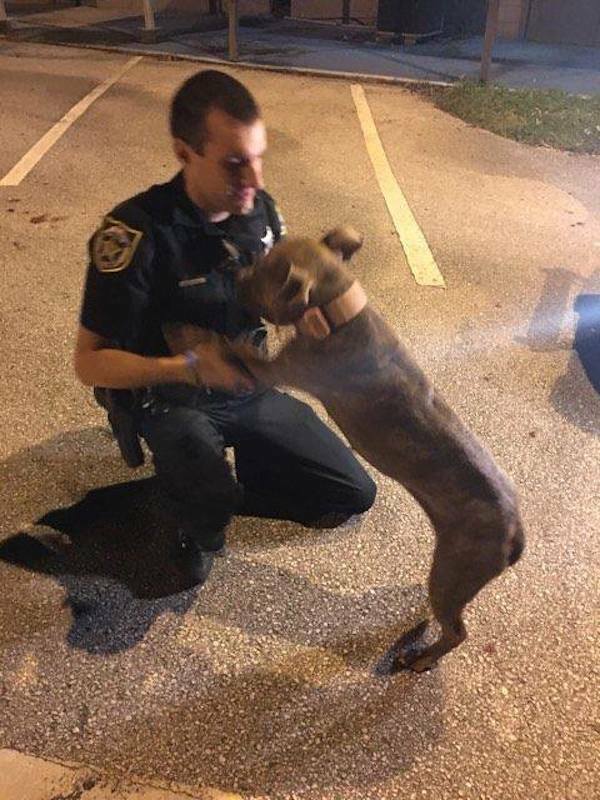 The dogs were found frightened in the middle of the street in the Orlando area when the Orange County sheriff’s deputies came to their aid. “The dogs were discovered in the middle of the road near South Orange and Oakridge Avenues. 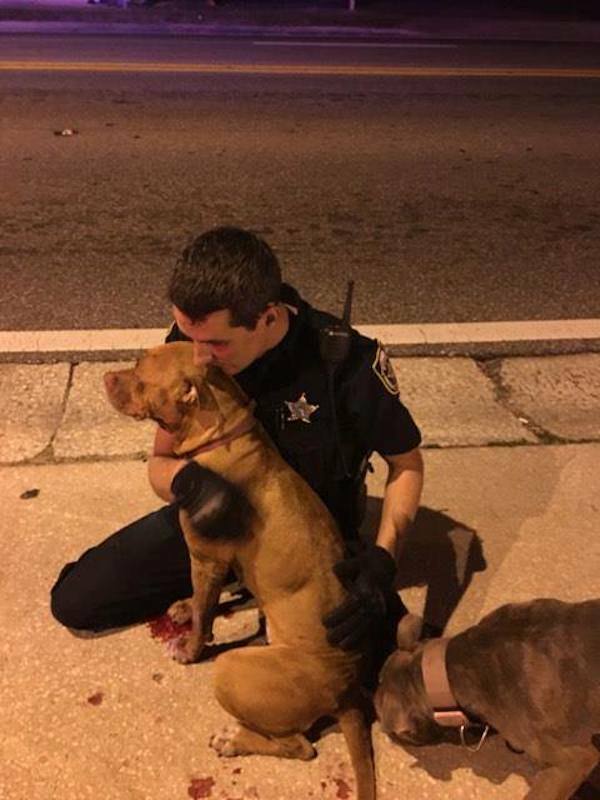 A citizen [Adam] sent us pictures of Deputy Boggs and Deputy Reed comforting the frightened dogs. 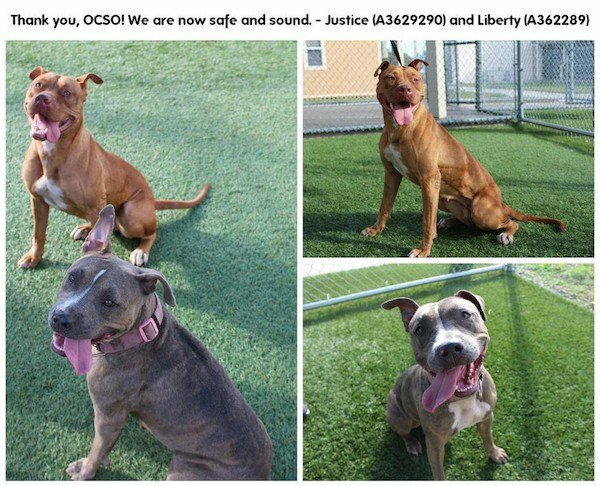 The shelter has named the dogs Justice and Liberty. They’re not frightened as when they came in and are giving shelter staff lots of love. Justice and Liberty will be up for adoption when they are ready. Note: Since this story was first published, it appears the two dogs have since been adopted.